A beautiful array of color and texture, the "Bouquet" cluster earrings are like beautiful little arrangements to decorate your ears! Featuring the most AMAZING periwinkle blue chalcedony faceted briolettes, these focal stones just seem to glow! 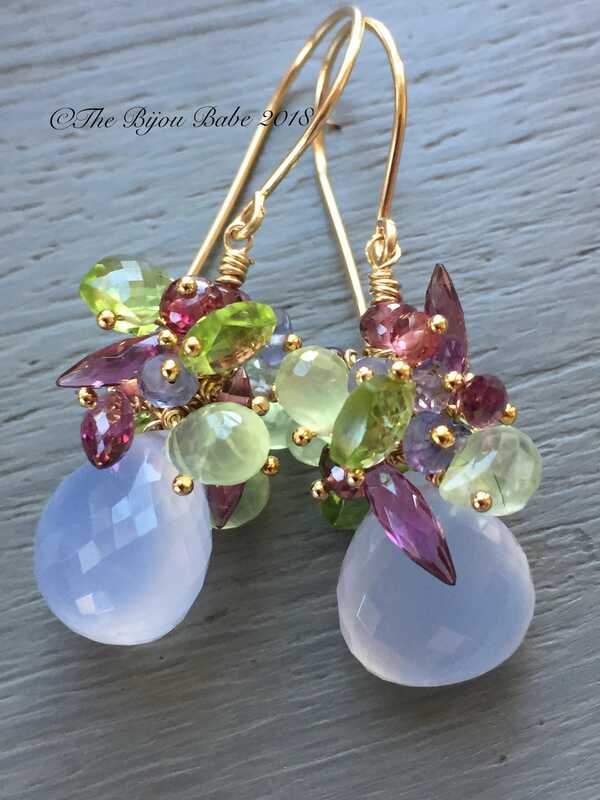 They're surrounded by faceted dew drops of raspberry pink rhodolite garnet, iolite rondelles, prehnite teardrops and apple green peridot cushions. The combination of colors is dramatic and versatile for so many seasons. The gemstones hang from handmade gold filled ear wires and all other metal used is 14k gold filled. 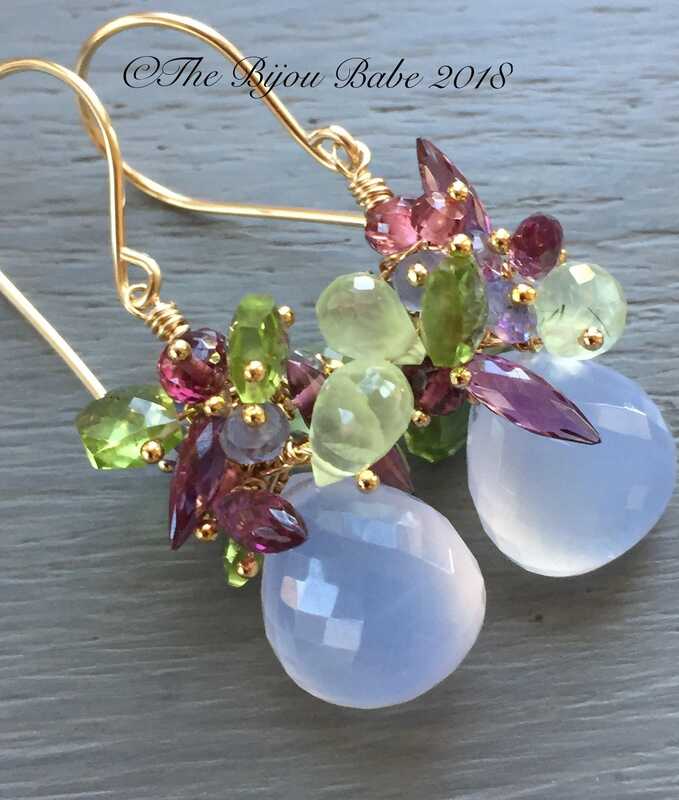 Your "Bouquet" earrings will ship USPS Priority mail with tracking in the US, and will be packaged in a signature Bijou Babe box. These earrings are so beautiful! Susan has a great eye for jewelry design and it really shows in her pieces she creates. They arrived on time and beautifully packaged with the sweetest thank you card. It was a great experience all around shopping with The Bijou Babe! Thank you!